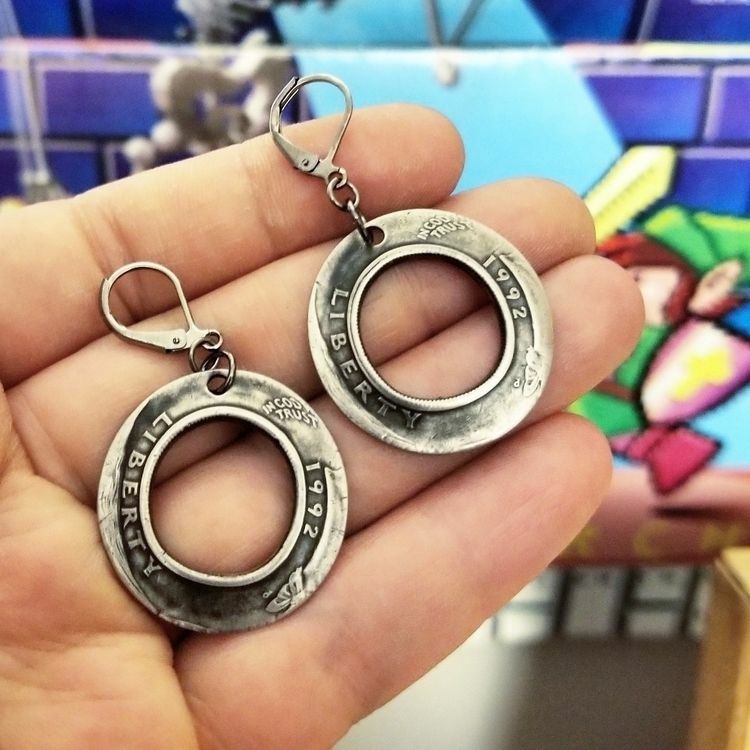 These earrings are made out of actual quarters turned ʇnO ǝpᴉsuI! 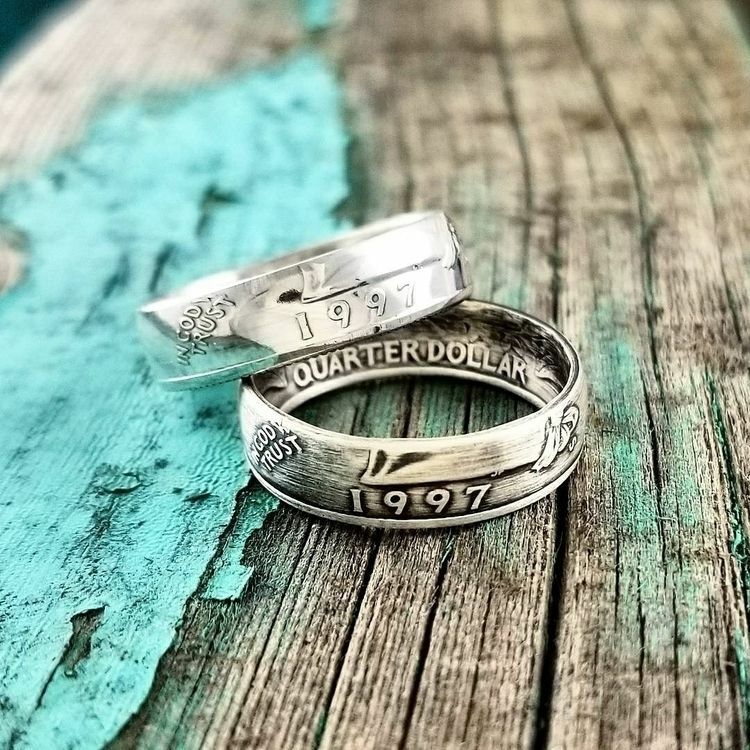 Thick vs thin, which do you prefer? 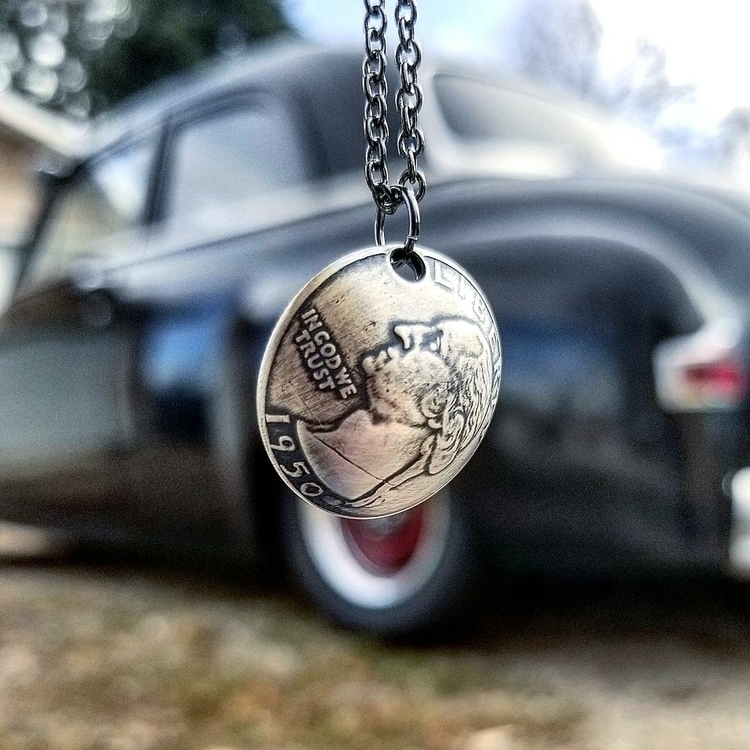 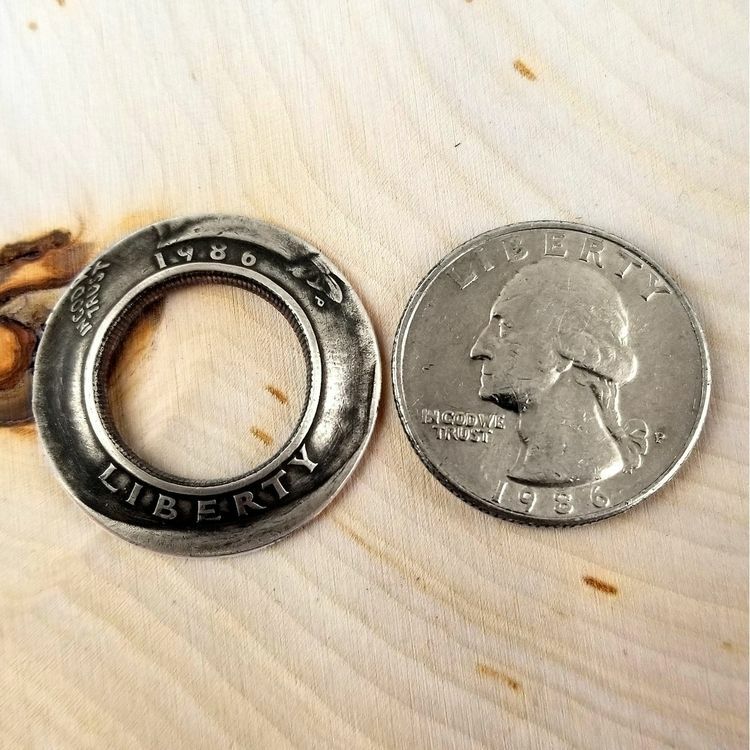 Our bar necklaces are handmade out of actual quarters! 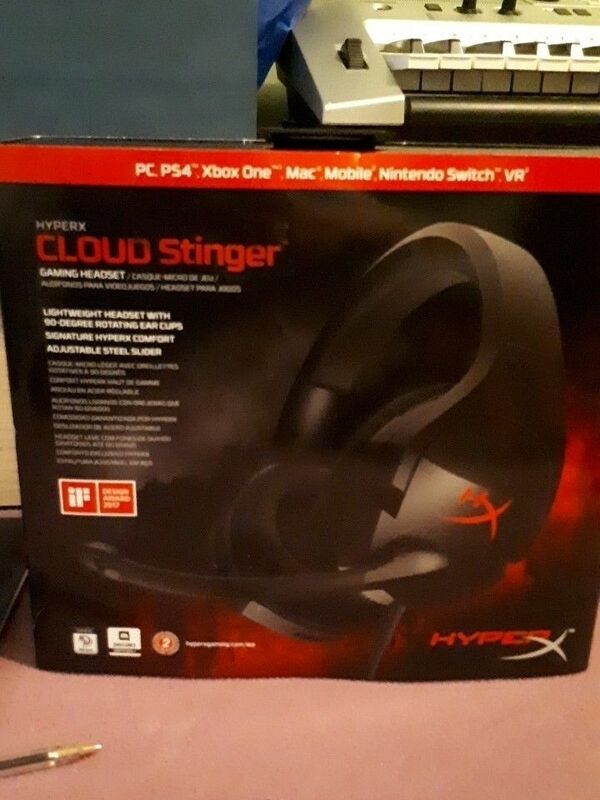 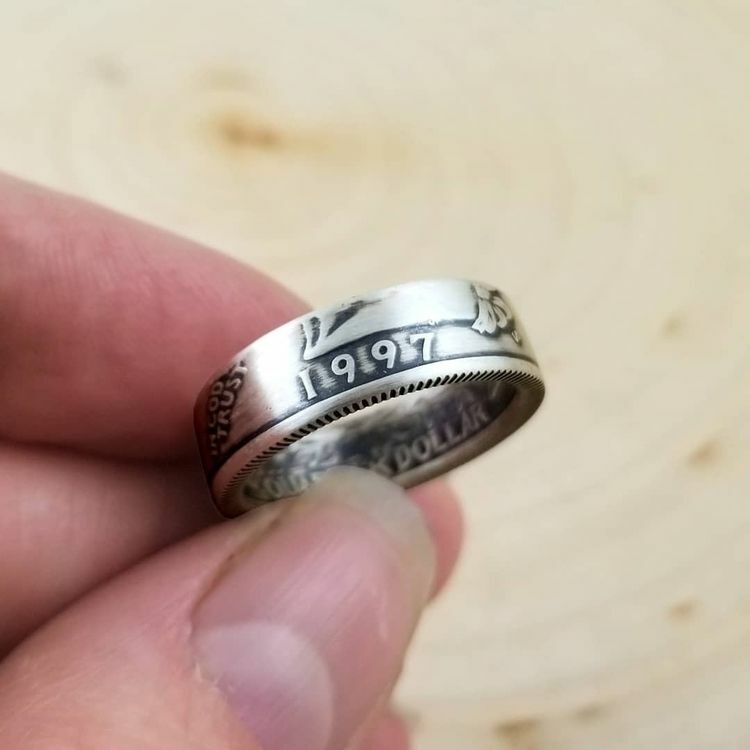 A thoughtful and unique gift for a 21st birthday! 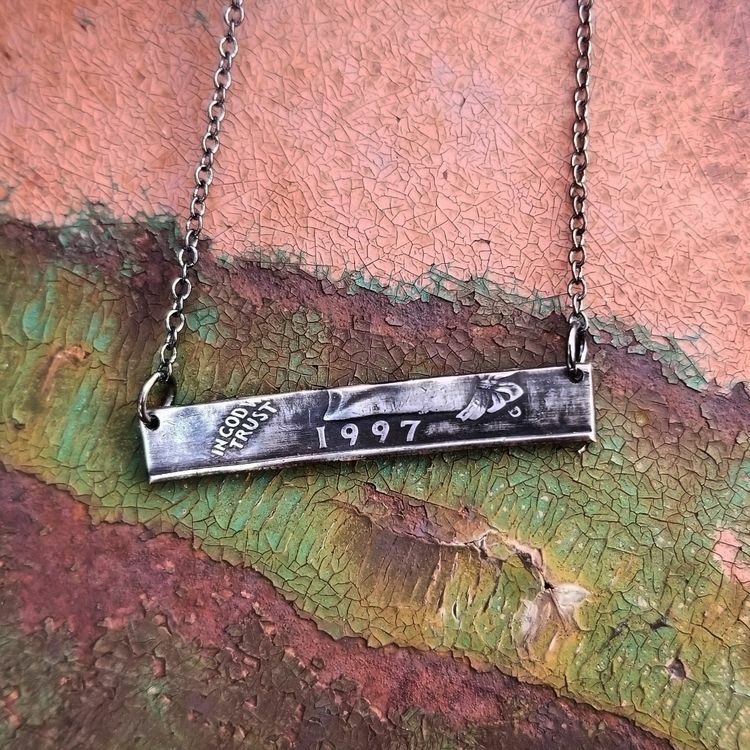 Celebrate your 21st in style! 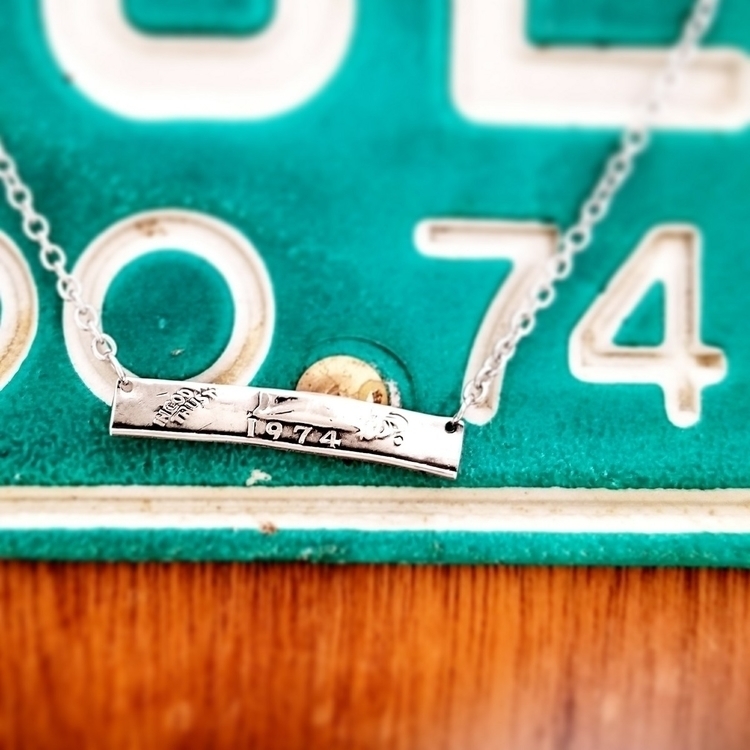 Celebrate your 50th in style! 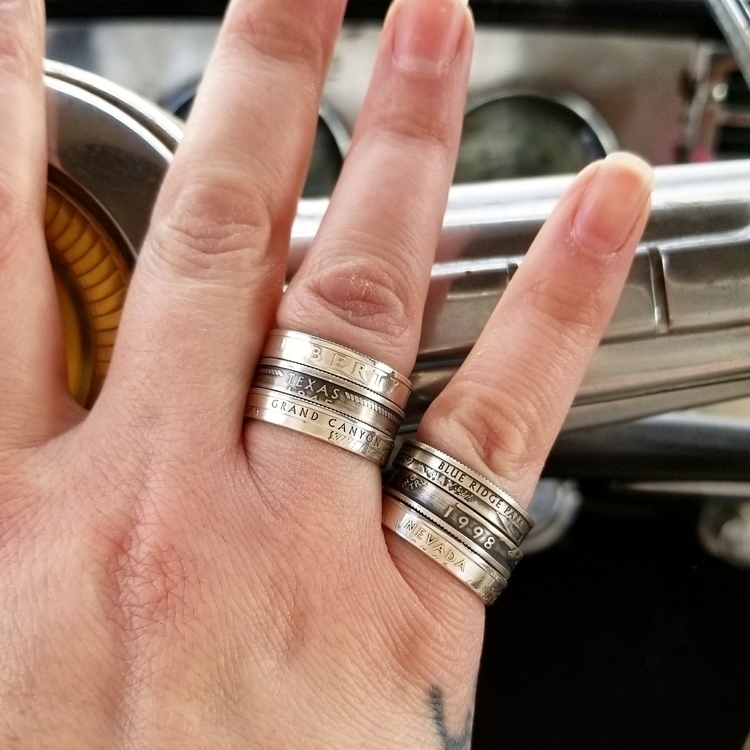 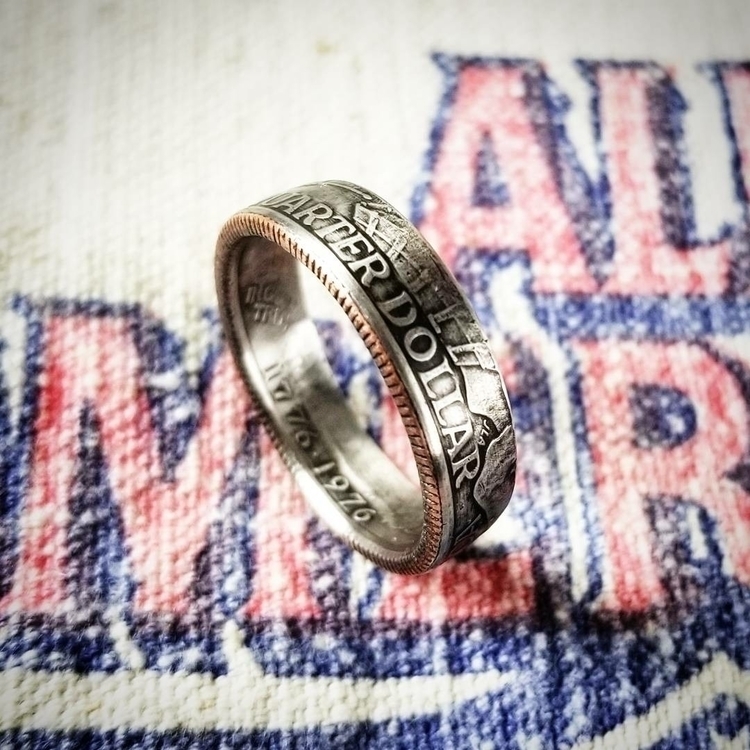 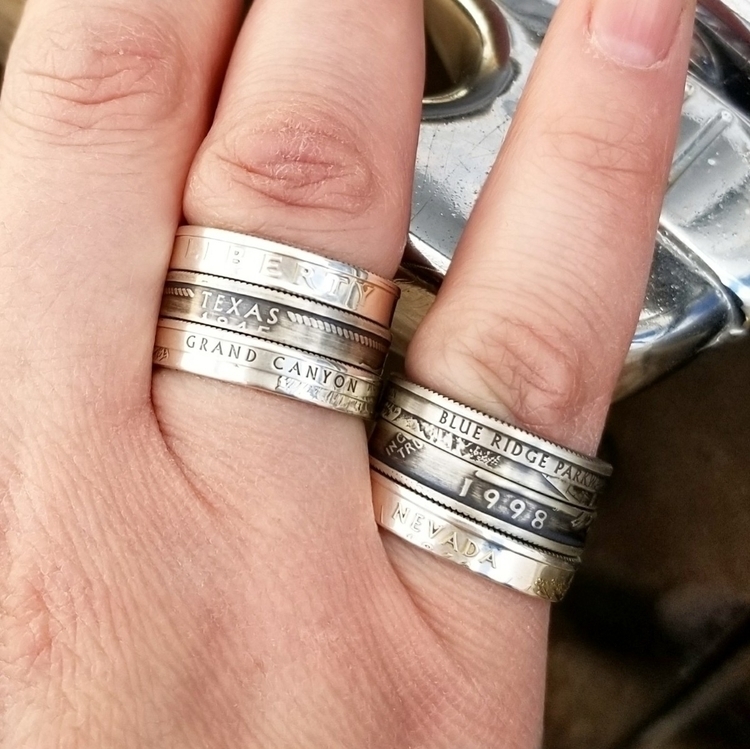 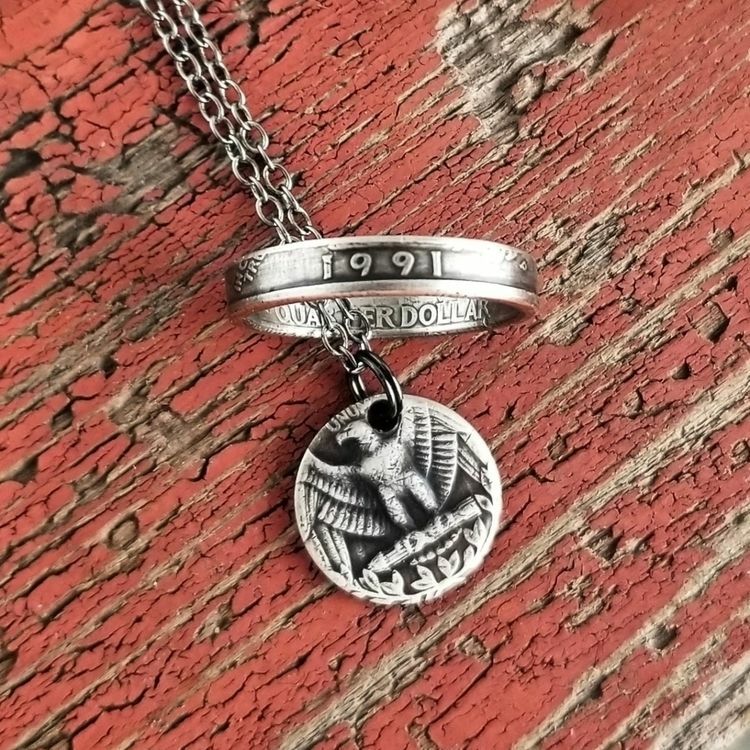 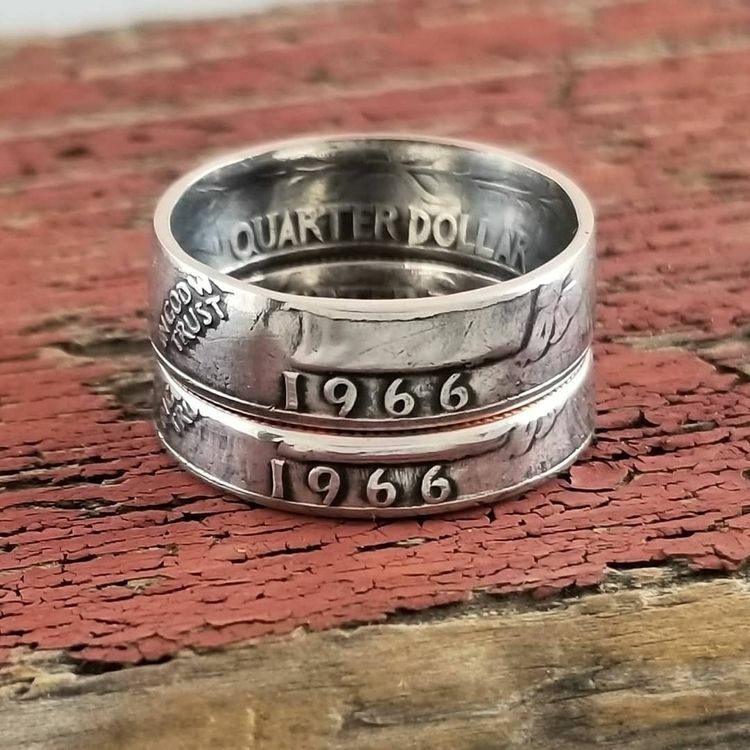 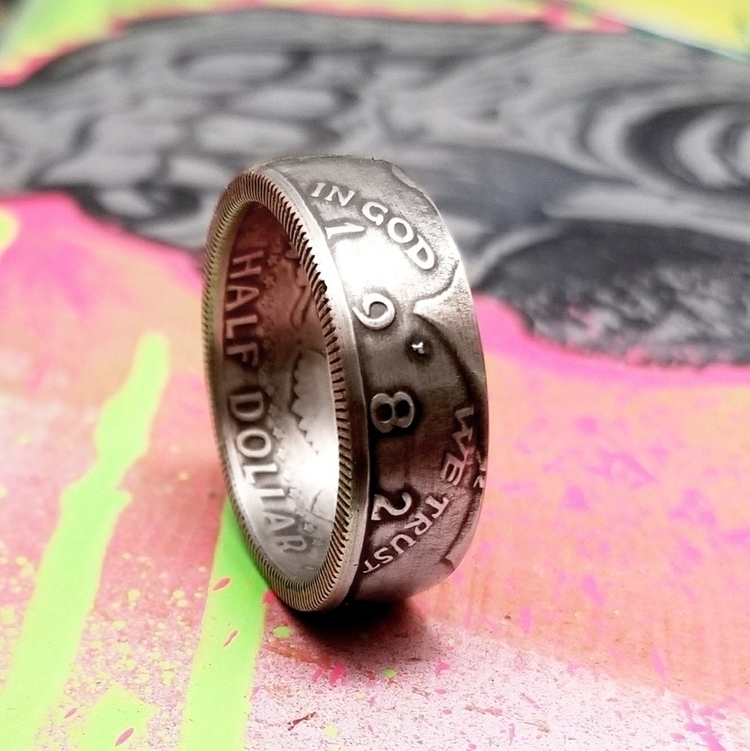 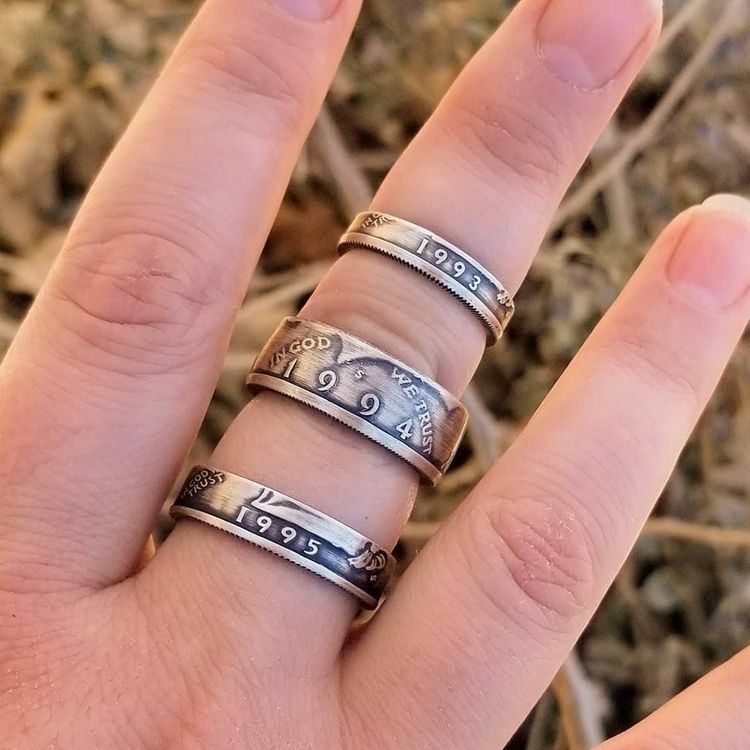 Let us make you a half dollar ring with your birthday or anniversary year on it! 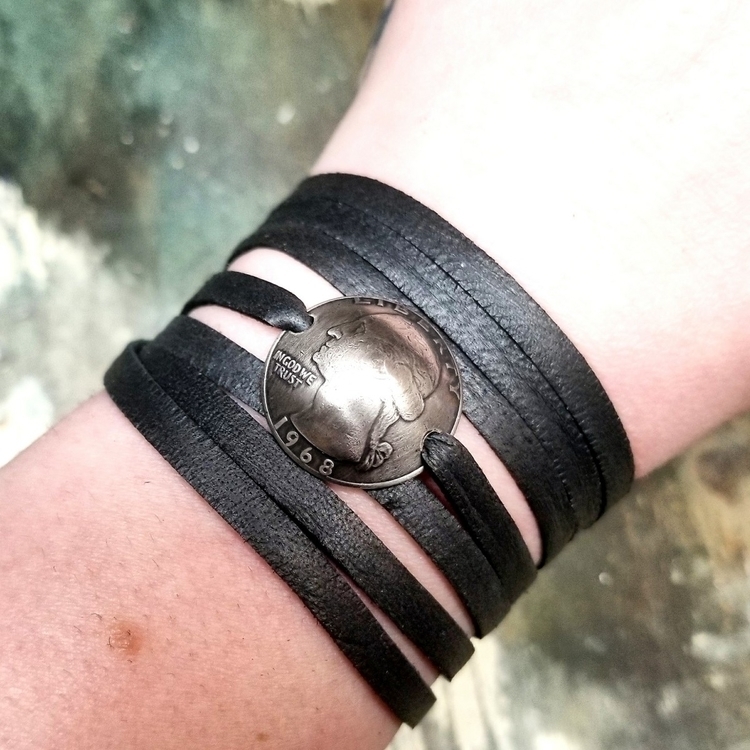 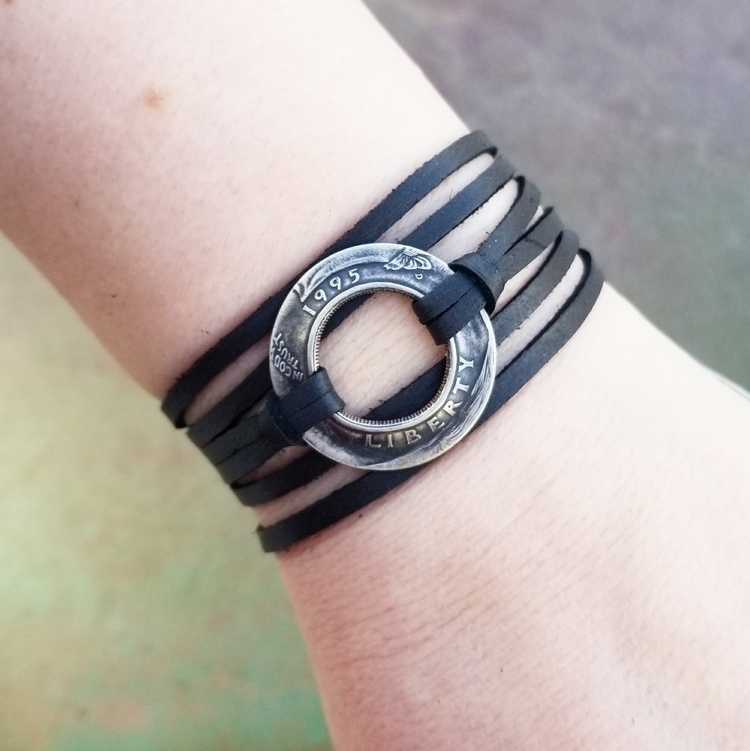 Happy birthday to you 🎂 these leather wrap bracelets make great gifts! 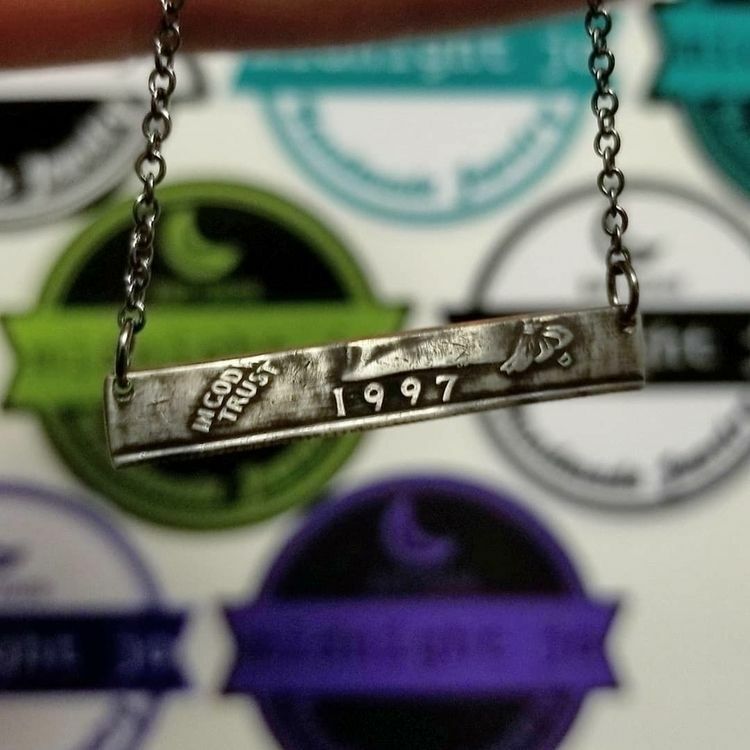 Check out our year coin bar necklaces, they&apos;re made out of actual quarters! 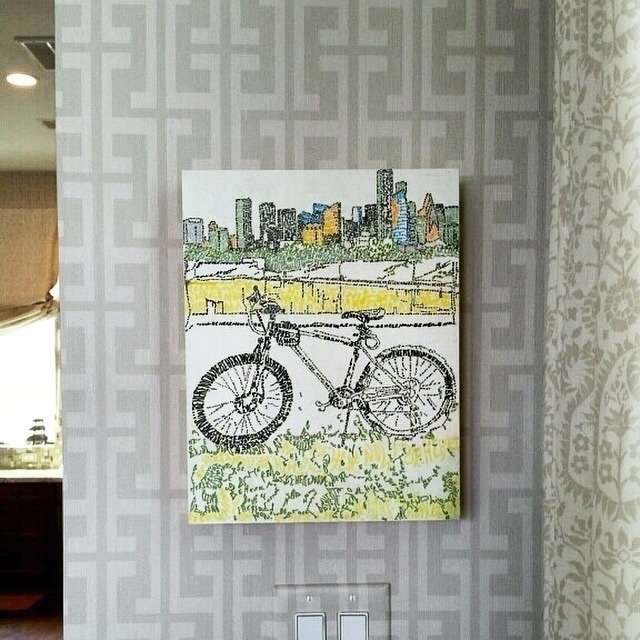 #BeHereNow in its home with a very happy #collector . 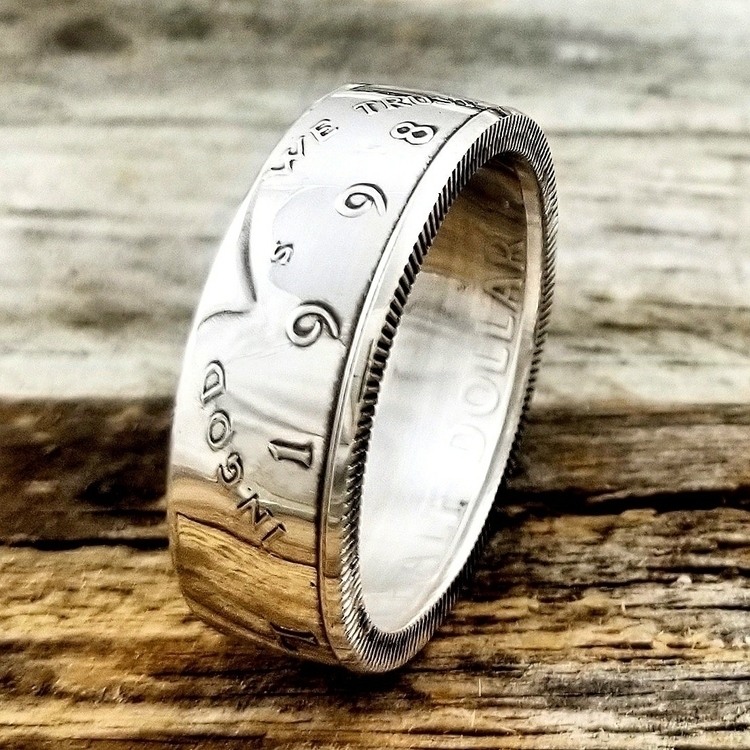 Words of the piece are simply: BE HERE NOW.